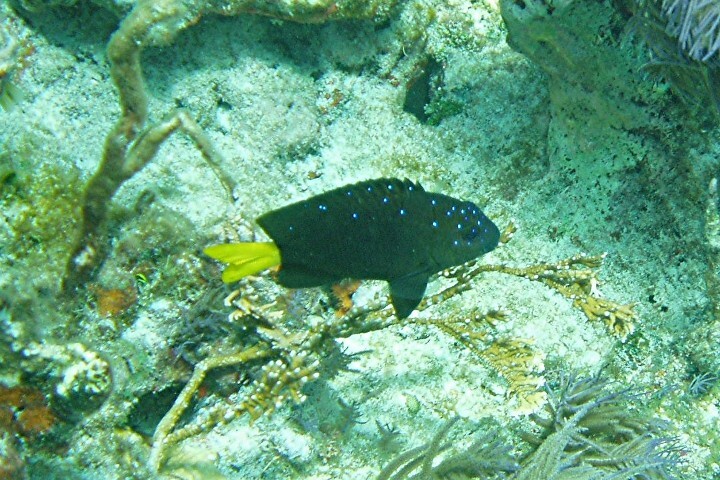 This is a Juvenile-intermediate Yellowtail Damselfish about 5 inches. 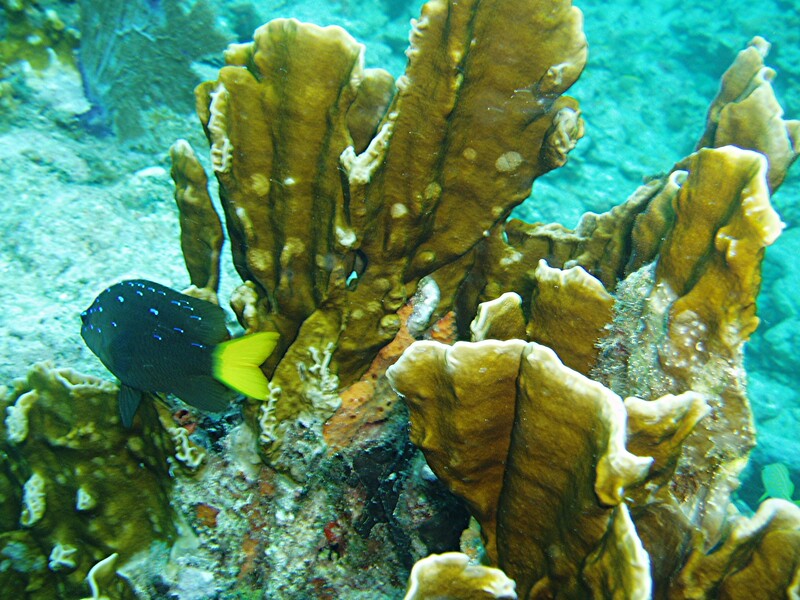 Photo by Rod 13 Mar 04 in about 20 feet water. 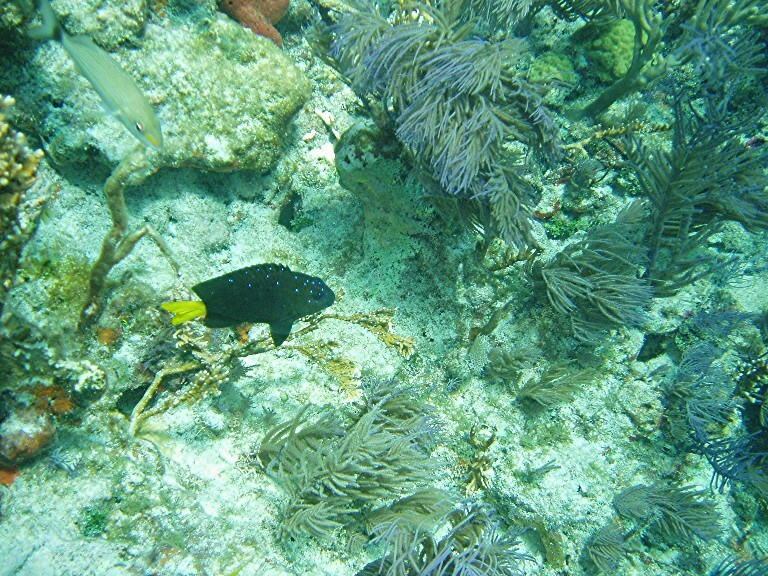 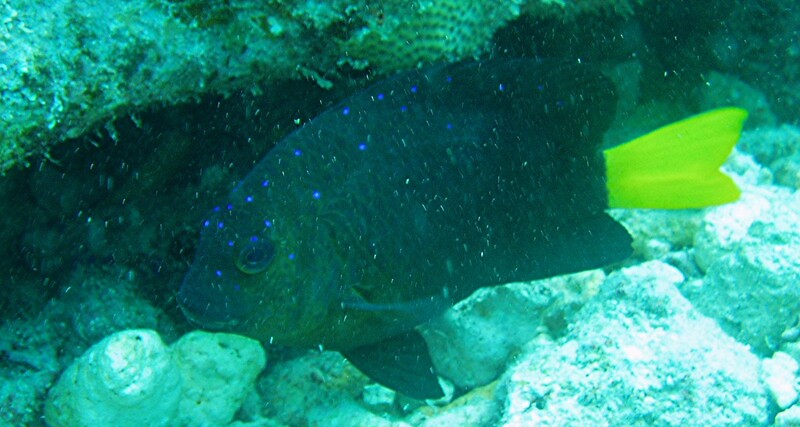 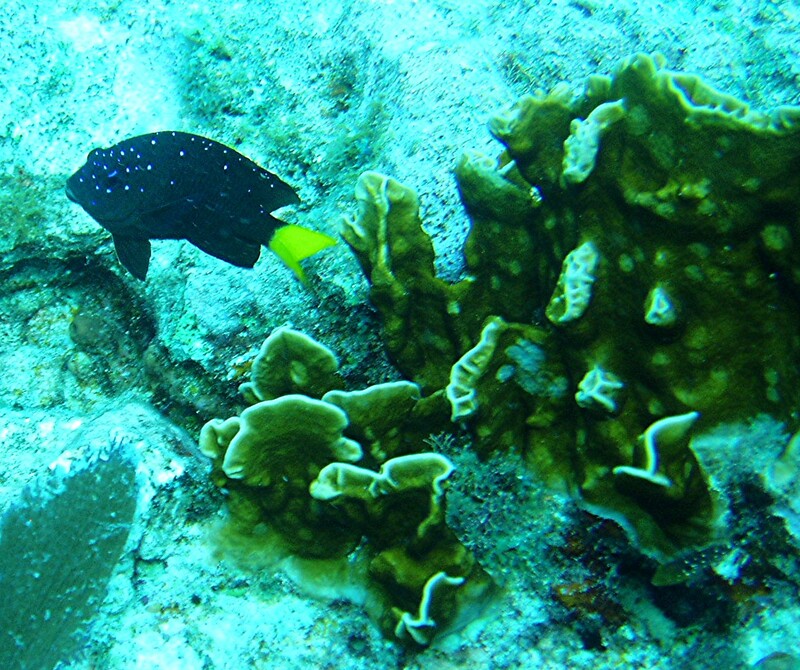 This is a Yellowtail Damselfish at Carysfort Lighthouse. Photo by Rod 03 March 2006.